Even with the holiday season well underway, the pace of assessment reform news has not slackened. 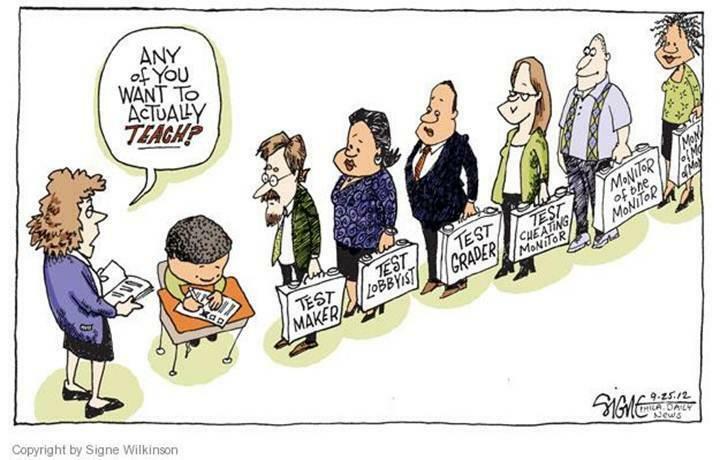 In fact, important new voices, including educational leaders, business officials, and students are joining the ever-growing chorus pushing back against high-stakes testing overkill. Get Ready for America's Next "Education Crisis"
Excellent 'Toon: "Do Any of You Want to Teach?"